Cabin bags are something I have accumulated a lot of over the years, with the ever changing airline regulations alongside my continually growing travel blogging essentials, the hunt for the perfect women’s cabin case has been never ending. 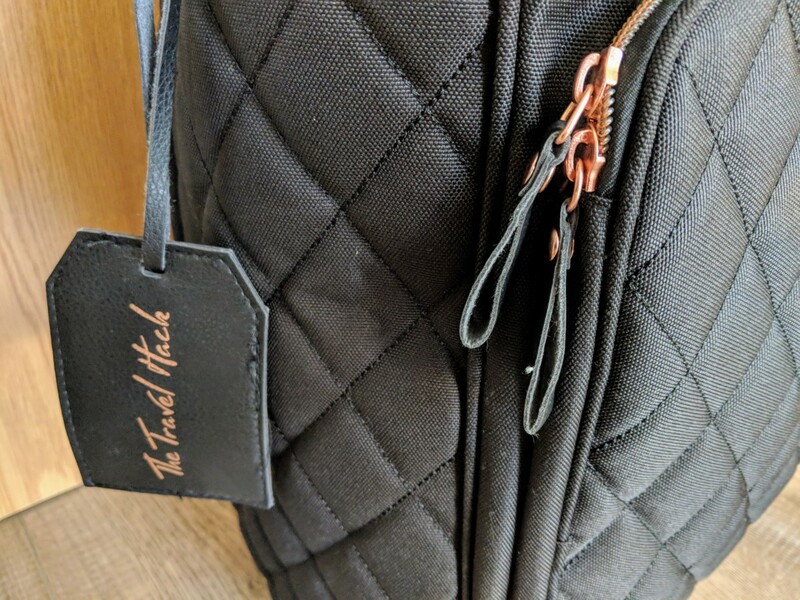 Therefore when I was kindly sent the Travel Hack Pro Cabin Case, I was intrigued to find a cabin luggage which was offering something different – a built in handbag compartment. Buy your Travel Hack Pro Cabin Case from Amazon for £49.99 with next day Prime delivery currently available. Who is the Travel Hack? The Travel Hack Pro Cabin Bag was created by Monica Stott, full time blogger behind The Travel Hack. 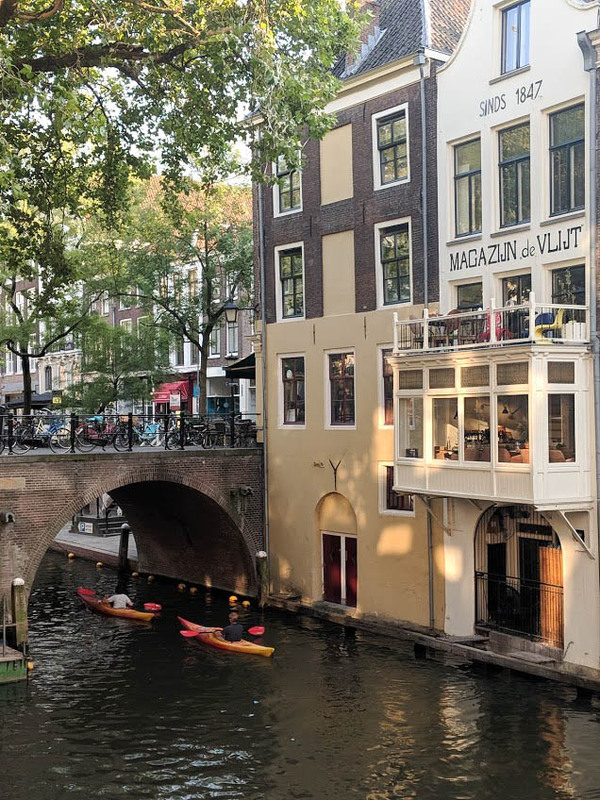 The Travel Hack is all about weekend breaks and affordable adventures. 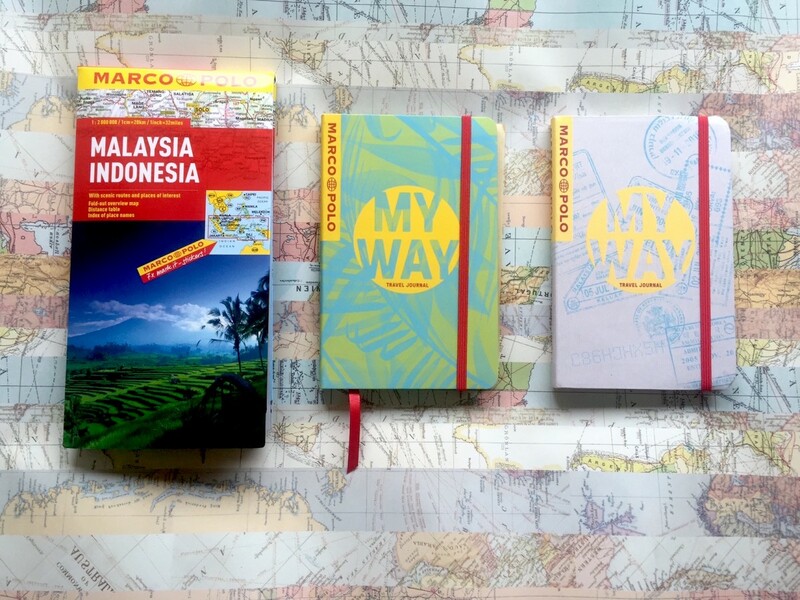 Over the past five years, it has grown to becoming one of the biggest travel resources on the internet, and has seen Monica working with global brands and tourist boards. It is safe to say the Travel Hack has become a household name and indeed a brand itself. The Travel Hack Cabin luggage came to life from a collaboration with Cabin Max, and was designed using the Monica’s extensive knowledge of stylish travel on a budget. Measurements – 55 x 40 x 20 cm. currently compatible as hand-luggage for over 20 airlines, including low cost airlines such as Easyjet and Wizz Air . Spacious – On my most recent trip with the Travel Hack cabin bag I used it hold 4 days worth of clothes for a trip to Iceland in winter. Laptop compartment – A sturdy padded laptop compartment at the back of the case, no need to open the whole case to find your laptop. Rose gold features – Zippers and trim are a stylish rose gold, which contrast beautifully against the black material of the case. The inner material of the case is pink. Water bottle holder at side of case. 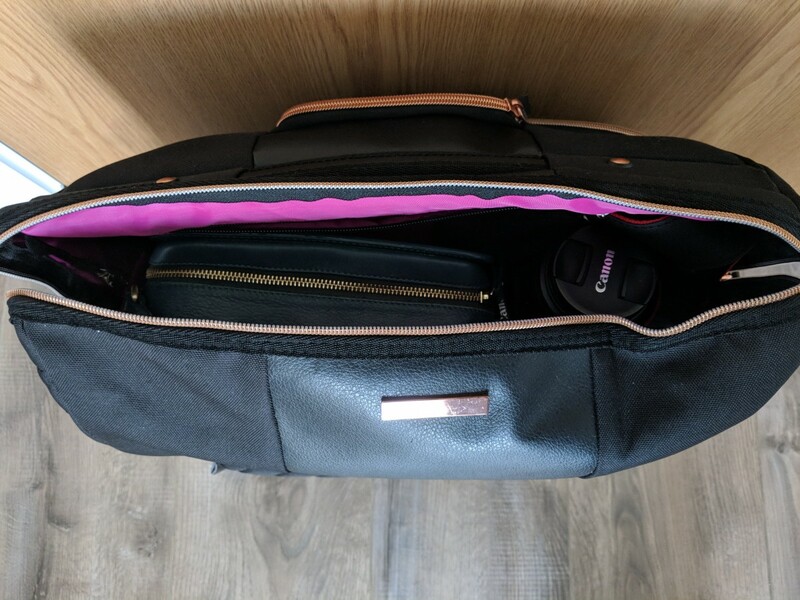 A built in hand bag compartment – which in my opinion helps the Travel Hack Cabin Pro to stand out as one of the best women’s cabin bag currently available. Do you have trouble with packing lightly? You may find my essential packing tips and tricks helpful. As this is my favourite feature of the cabin case I wanted to write more in depth about it – I did not realise how how handy this was until I actually used it. 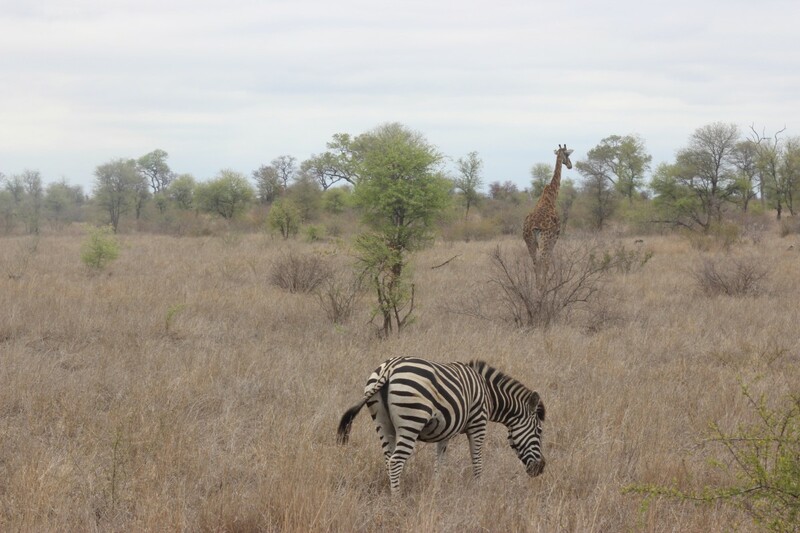 Many low cost airlines have strict regulations on only being able allowed one piece of carry-on luggage which is not very convenient for people who also like to carry their valuables in a separate handbag. I have spent many times are an airport gate trying to stuff my handbag into my case to prevent getting an extra charge (Easyjet, I am looking at you) and looking at the design of the case I am assuming Monica has too. The Travel Hack cabin bag has built in hand bag compartment at the top of the case and separate from the main case compartment. Meaning you can quickly and easily slip your handbag inside at the gate and not be worried about facing any additional charges. It meant I had quick access to my phone, passport and boarding pass at all times. I also found it had enough space for my DSLR, meaning if I wanted to I could easily pull it out for a photo and not worry about having to rearranging my whole case again. 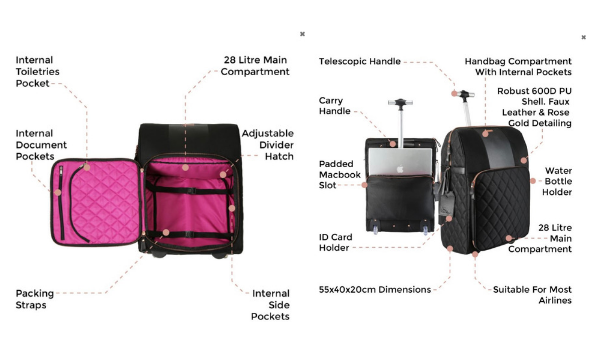 As I previously said, I believe this feature alone sets the Travel Hack cabin bag apart as one of the best women’s cabin cases currently on the market and with airlines becoming my stringent I can only see it coming more useful. When the case first arrived I was shocked at how big it was and was slightly worried it would not be allowed on my upcoming trip with Wow Air but I had no questions at all and it was a comfortable fit in the overhead plane storage. I road-tested the cabin bag on my most recent 4 day trip to Iceland, it was during winter, therefore I had more clothes with me than I would normally take. I found the case to be incredibly spacious and the in-built luggage straps ensured everything stayed in place. As I was only using carry-on luggage during my flight, I obviously had to have all toiletries on me. For ease, I kept these in the in-built handbag compartment along my other essentials so I could quickly access them at security. The Travel Hack case is a 2 wheeled case, this would be my only downside of the case. This is purely because I am used to using 4 wheeled cases as I enjoy the ease of them, however, I do believe all the other features of the case make up for this. I have not had a chance to test the laptop compartment yet, however my Macbook fits comfortably inside and feels secure. I appreciate the laptop compartment being on the back of the case, rather than the front, as I believe it is more discreet and will offer more safety. Overall, I am really impressed with the Travel Hack Pro cabin bag. Not only is it stylish, it is practical and looks to have had a well thought out design process. I believe it is suitable for women of all ages and with a reasonable price tag of £50, it is an investment piece suitable for most budgets. 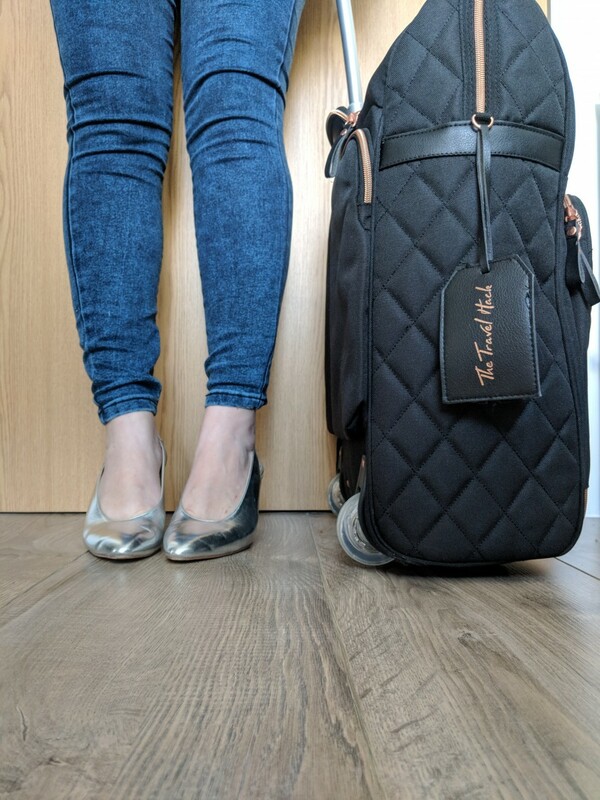 So if you are looking to treat yourself to a new cabin bag or if you are looking for the perfect travel Christmas gift for the lady in life then pick you can pick up the Travel Hack Pro from both Amazon and Cabin Max. The Travel Hack Pro was a press sample, however all opinions are my own.